If you're not aware, this is Ottawa's first ever Kindness Week 2010. Its' goal is to answer this question, posed by Kindness Week sponsor, Rabbi Reuven Bulka: "What if we could make Ottawa a kinder community? Would we need to spend so much time on anti-bullying, anti-racism, issues of mistrust, and other nasty stuff?" 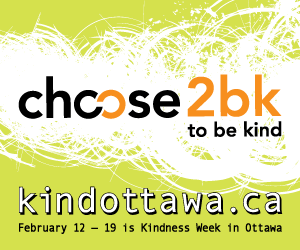 The goal is to encourage people to be kind in their community, at school, at work, anywhere in Ottawa. And if you catch someone being kind, you can submit their name to the Recognition Program. And this got me thinking... are we so self-obsessed these days that we need a whole week to remind us to be kind to each other? People will donate at the drop of a hat for Haiti, but will they help their friends, families and neighbours as easily? Then on Twitter, I posted that my Saturday was essentially dedicated to providing tech support to a couple of people: first by driving to the home of a friend who lives an hour away, to work on her blog. Then returning home, to wait for a call for my Dad who needed help with his computer. 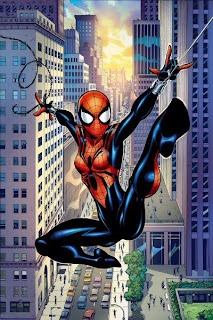 One of my followers incredulously inquired: "Not free tech support I hope" And my reply was: "Of course it's for free! What's the point of having skillz if you don't use them for good?" And it got me thinking... really? Don't people help each other anymore? I don't consider tech support any different than when friends help each other move, when a friend brings a new mom a casserole to get through her frazzled week, when a friend is setting up a business and needs a blog... it's just normal helping. Why would the word "tech" make this kind of support any less free? Between friends, this is just an act of kindness. N'est-ce pas?